At What Age Should I Write A Will? With all the negative news we see today on TV and social media, it’s easy to feel like the world “just isn’t the same” anymore. Yet, what’s funny is that it’s just as easy to forget about all of the “bad stuff” we see and read about. We all have our own lives to maintain, so we quickly move on and assume nothing terrible will ever happen to us. Maybe that’s why writing a will (or getting one written for us) can sometimes feel like the last thing we need to think about, plan, or do. However, no matter how uncomfortable it makes us feel, the truth is that writing a will isn’t just for older adults or those with children. Should I Consider Writing Will? Most of us hope (or assume) that eventually, one day in the distant future, we’ll pass away peacefully at an old age. And by then, the children we’ve raised will already be successful adults, with happy and healthy children of their own. Unfortunately, deep down we know this isn’t always the case. That’s why writing a will can be crucial when it comes to having more peace of mind – both for yourself, and for your loved ones. What Exactly Is A Will For Anyway? 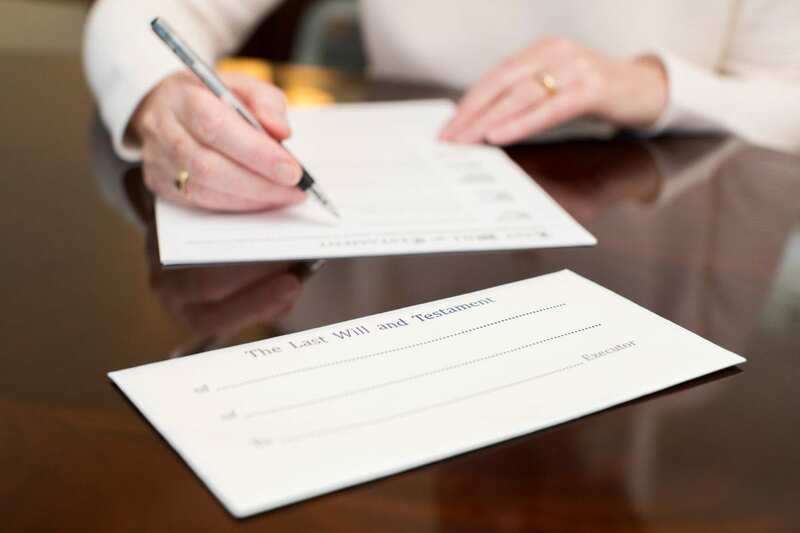 To put it plainly, a will is a legal document containing instructions on how to carry out your personal wishes – and the distribution of your property – when you pass away. Although there is more than one kind of will, the idea behind each type is that your written instructions will more-than-likely be carried out when the time comes. A will also gives you discretion over how your assets will be distributed. This doesn’t just mean property – it could also mean things like your business, your investments, cars, treasured heirlooms, and so forth. A will can also let you provide for your minor children’s care, and can let you the dictate all the assets that any adult children will receive. If you choose, you can even have assets donated to a charity of your choice. Here’s another thing: people often overlook the fact that having a will can also reduce tension among your family members when you pass. That’s because a will usually minimizes any “battles” which may take place when relatives begin to argue over who gets what. Still thinking about putting off your will for some later date in the far, far future? While this obviously boils down to your own personal decision, the cold hard truth is that dying without a will means the state you live in will end up being the entity who oversees the distribution of your assets. This often leads to financial and emotional difficulties for the surviving members of your family, particularly your spouse, because sometimes the family home and other assets will end up getting sold. It’s even worse if your children are still minors when you pass, because the court will also assign a representative to look after them. Having said that, having a will can do so much more than simply give your loved ones financial security when you pass – it can also give them emotional and physical security. Ok, I Get It – At What Age Should I Write A Will Then? As mentioned earlier, when it comes to determining the age for you to write your will, it ultimately comes down to your own personal preference. As long as you’re at least 18 years old, you are in the clear to get started on this process. Fact #1: You’re not invincible. When you have youth and health on your side, it’s easy to feel like nothing can stop you. However, even young people need a will in some cases. Obviously, if you already have children now, then it should be clear that you should get started on a will very soon. Fact #2: You don’t need to have any children to start a will. That’s right – a will can carry out your final wishes whether or not you have any children. You can donate assets to a charity or cause that is close to your heart. You can also distribute assets to close friends, for example. Fact #3: If you have history of physical and/or mental illness in your family, then think it through carefully. If you do have physical and/or mental illnesses running in your family (as is the case for many of us), please remember that our bodies (or minds) can just “slow down” on us unexpectedly. If we just look around, we can even see that this kind of thing happens without any real signs of warning. This is particularly true when it comes to mental illness, where you will need to be mentally competent at the time of writing a will. How Do I Even Write A Will? We all hope that our will is something that won’t have to be used for a long, long time. Thankfully, this may very well be the case. However, if you’ve read this far along already then it is likely that, by now, you are at least curious about how you can get started soon. Below is an outline you can follow for writing a will. The following “roadmap” contains each step, in order, as well as other tidbits to think about during each step. The first thing to be aware of is that there are different options to consider when writing a will: there’s the lawyer option, the online software option, or the “do it yourself” will. It’s often recommended that those in upper-middle-class should find an estate planning attorney. Then, the next step is to decide who is going to get your assets such as money, your house, and your belongings. You probably won’t have to think too hard about this one, unless you have a more “complex” family situation. Once you decide on this, it’s time to find someone who will execute your will and carry out your last wishes. The more responsible the executor is, the better. Please bear in mind that a bank or lawyer can be an executor, however there is usually a fee involved… somewhere between 2% – 4% of your estate’s assets. Next, it’s time to pick someone who will care for your kids – commonly known as a “guardian.” Technically, you don’t even need your future guardian’s permission before selecting them, yet it still might be a good idea to ask them anyway – just in case they decide to turn it down when the time actually comes. Also, it’s important to know that if they decline, then the court usually selects the guardian. Now, the next step is to get specific on who gets what. This part is straightforward, however there’s the flip side where you’re also going to want to note if there are any specific family members who will receive nothing. Of course, this can be tough for both them and you, so explaining why the person will not receive anything is always good to do in your will. After that, you’ll need to bear in mind that a will isn’t like what we see on TV and in the movies. In real life, it’s more often an impersonal legal document. So the next step will be to decide whether you want to attach a letter to your will for a more personal touch. This is where you’ll have the chance to write a letter to your spouse, your future guardian, or your children, for example. Finally, it’s time to have other people sign the will. The witnesses who sign the will can’t be people who are actually going to inherit anything from it though, so this is important to remember. Another crucial thing to remember is that a will must be signed correctly by each witness. What Happens When I’m Done Writing A Will? First off, finishing a will is an exciting accomplishment, once you finish all the above steps, it’s time give yourself enormous amounts of credit and breathe a big sigh of relief – you earned it! Then, it’s time to keep your will in a secure place, like a fireproof safe. It’s also important to tell someone you know and trust where they can find the will when the time comes. Lastly, keep in mind that your will is never really “done.” It’s ideal to update it every 4 or 5 years, even if you only take 5 or 10 minutes to do it. After that, it’s finally time to relax and unwind. Let it go for now, and take things as they come. And as you’re relaxing and unwinding, don’t forget to bring your favorite person (or people) with you-you may want to bring your favorite cocktail while you’re at it too. Bremer Whyte offers the best lawyers to those who have family members who were unable to establish trusts before passing, we also handle the probate of their estates, whether testate or intestate. Finally, we can establish guardianships and conservatorships when needed.